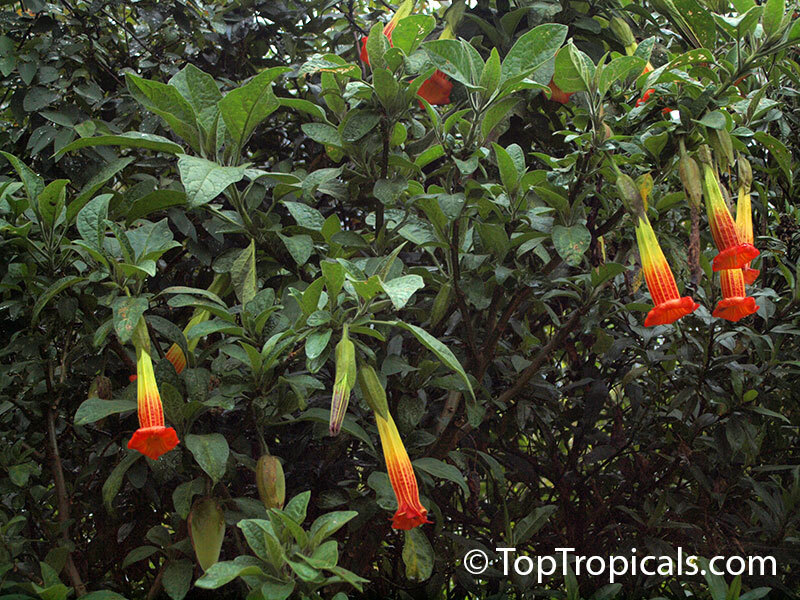 High elevation species with striking red and yellow flowers that attract enthusiastic hummingbirds. Known extensively throughout South America for its medicinal virtues and ritually brewed with Trichocereous Pachanoi as one interpretation of Cimora. 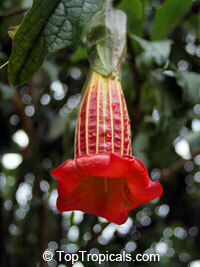 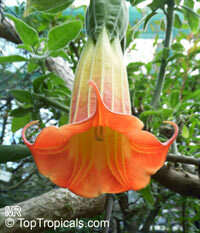 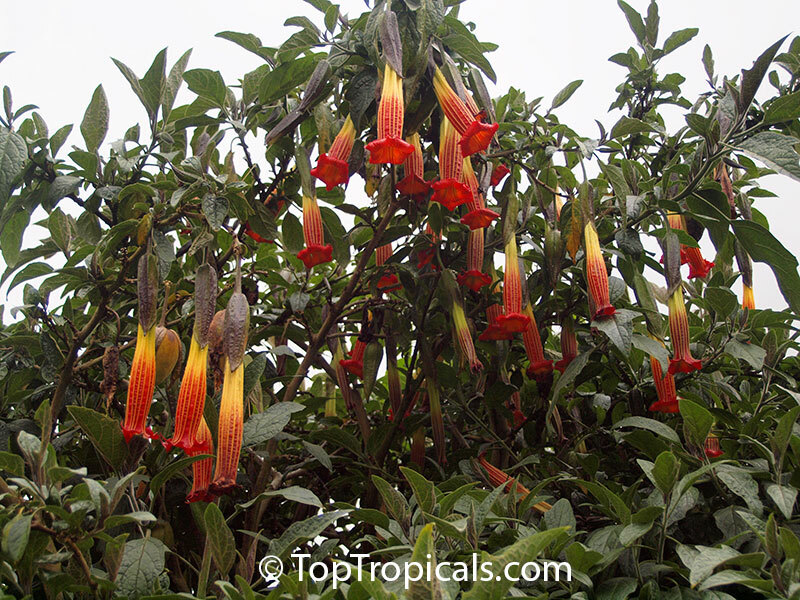 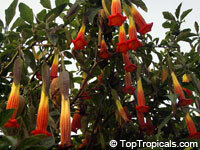 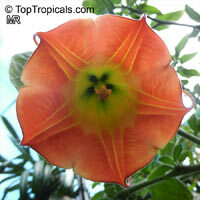 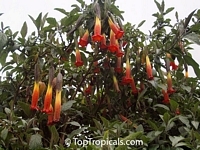 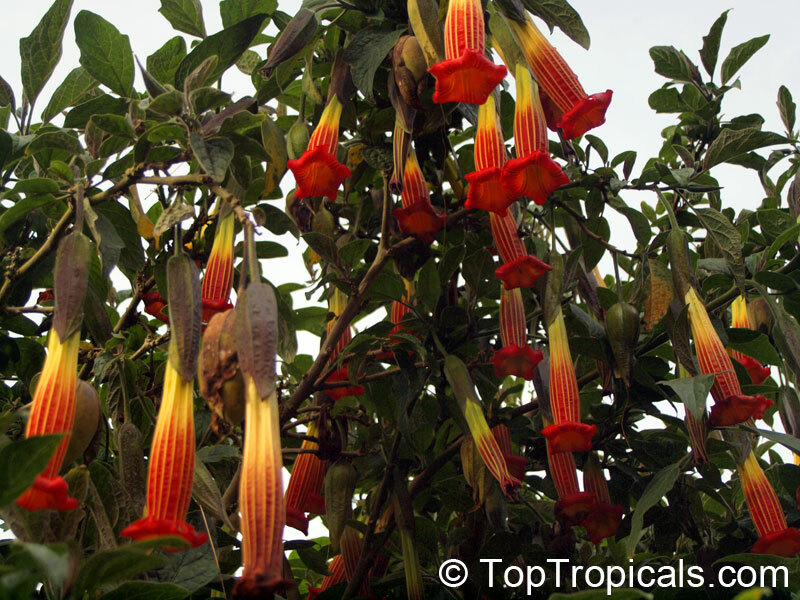 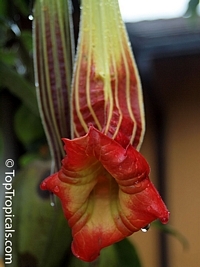 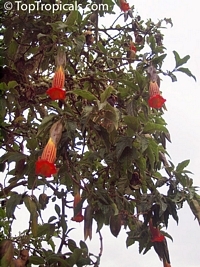 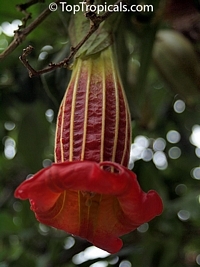 In Ecuador it is currently being cultivated for scopolamine. 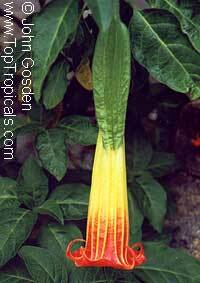 Easy to grow from seed. 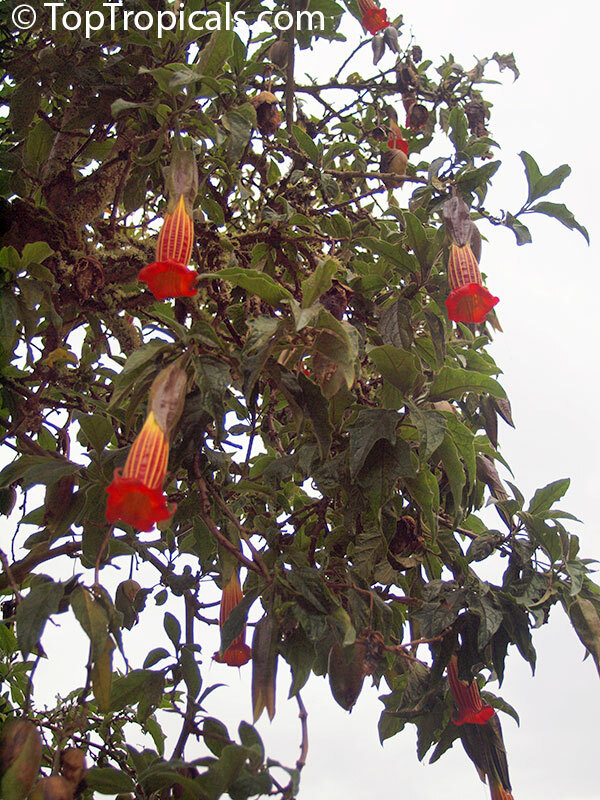 Distinguished from all others by the red flowers. Rare, cuttings are almost impossible to get. 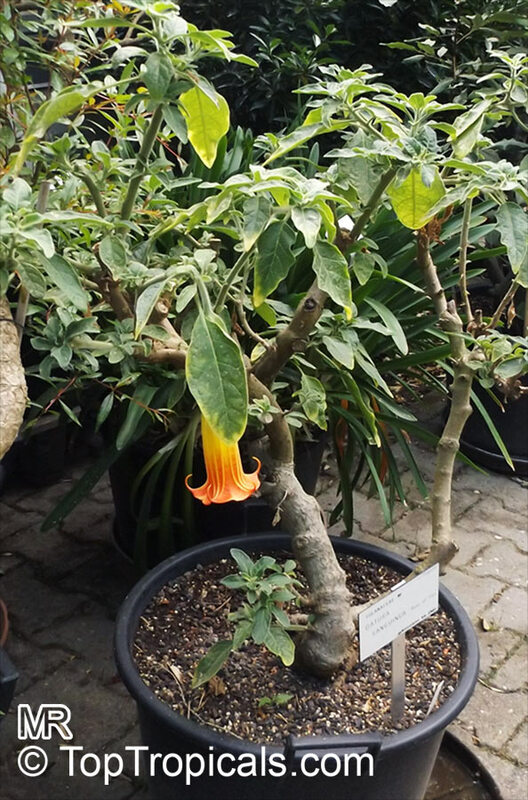 Prefers cool areas. 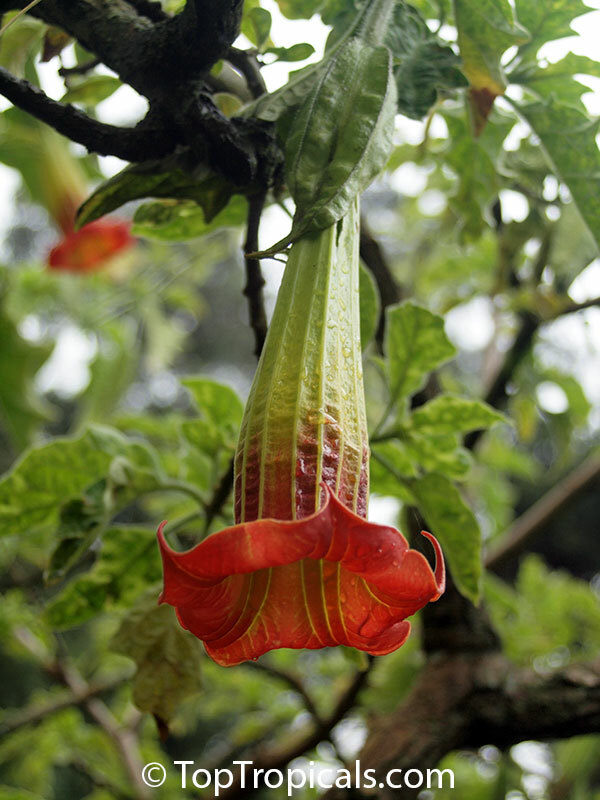 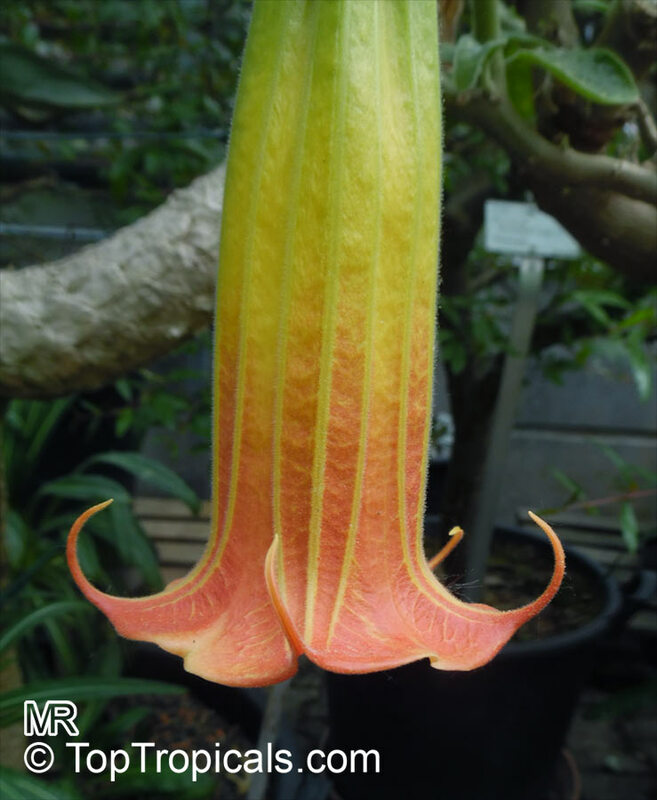 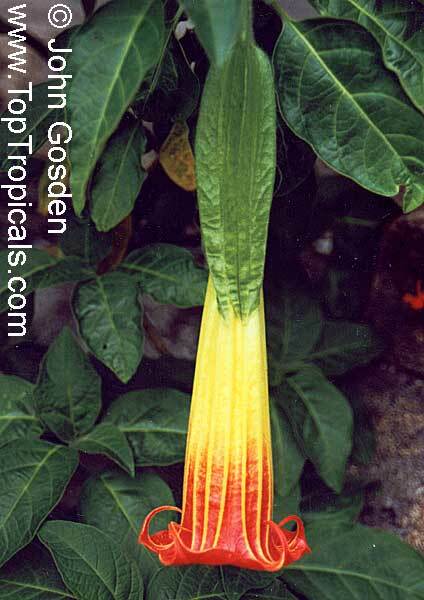 Belonging to the Deadly Nightshade family, which also includes the tomato, Brugmansia comprises about 20 different species, nearly all of them poisonous. 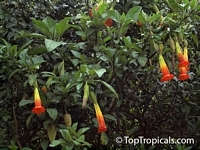 There are a number of cultivars, some with pink or yellow flowers. 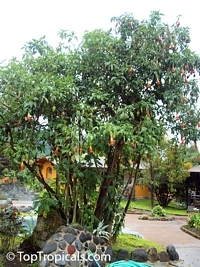 It's a showy landscape evergreen plant. 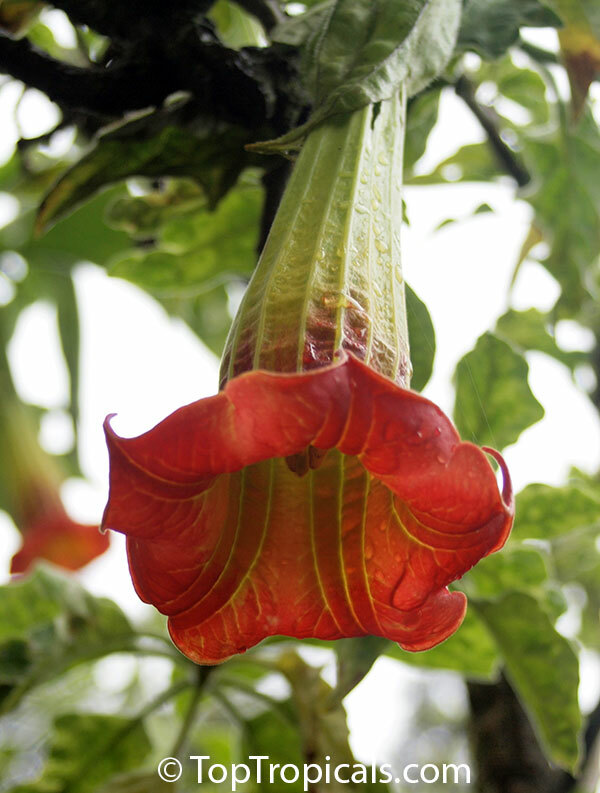 The more sun, the more flowers. Can be pruned into a nice small accent tree. 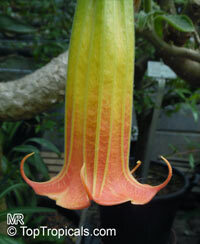 Put it where you can enjoy the fragrance at night. 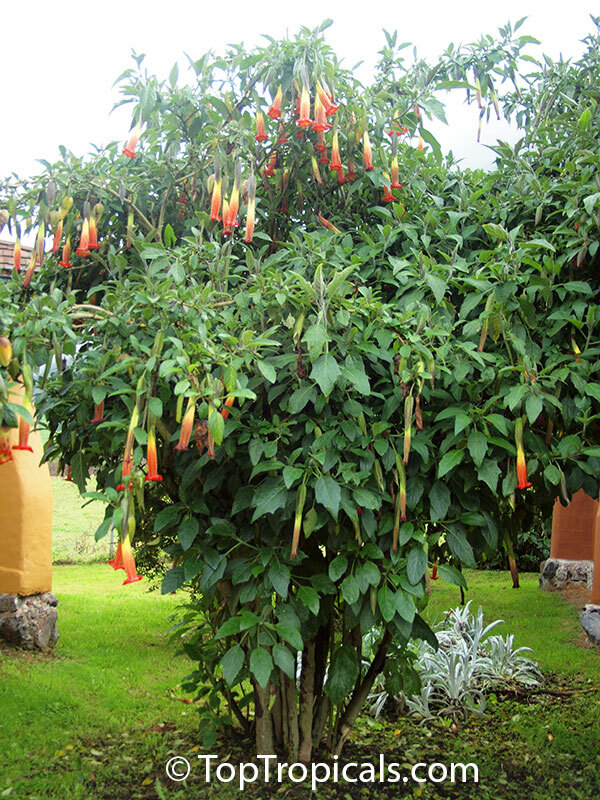 Blooms on and off all year. Easy to grow. 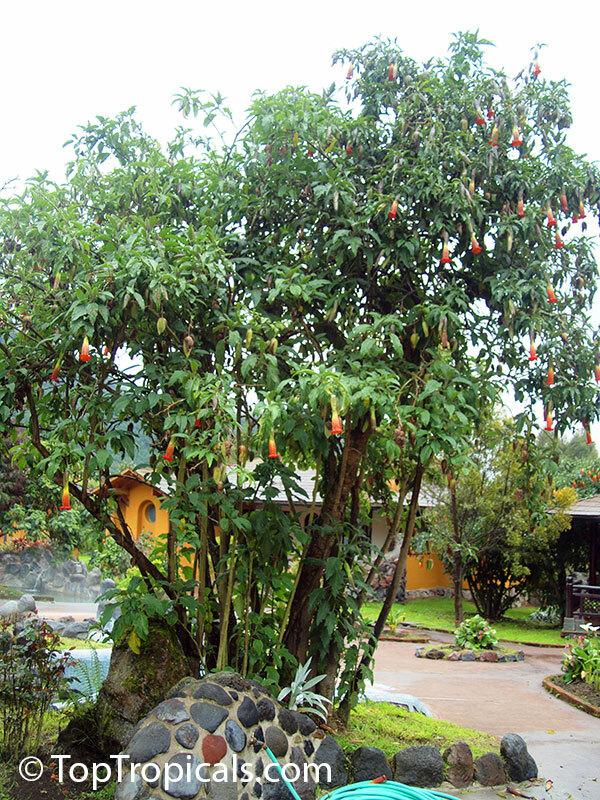 Not fussy about soil or water. Likes lots of fertilizer.